the strandbad wannsee is an open-air lido on the eastern shore of the wannsee in berlin. the buildings that r. ermisch planned in the late 1920s were built in the style of new objectivity. 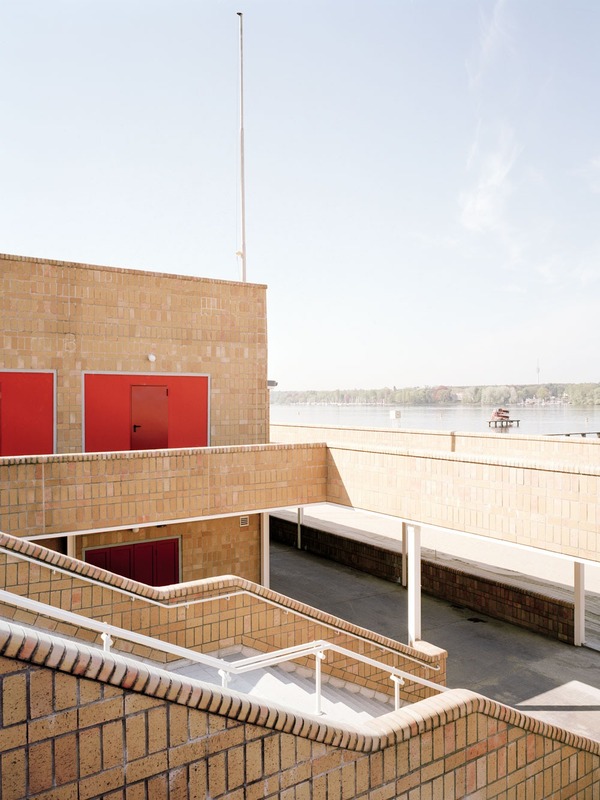 for the strandbad wannsee, preferred material for facades is yellow clinker, the bricks lending the complex its characteristic hue.